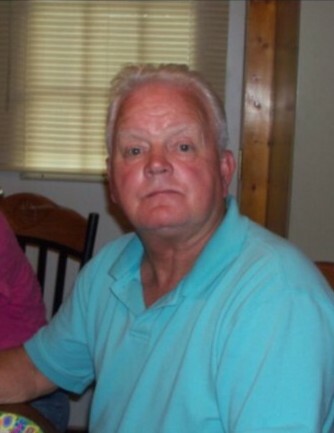 Johnny Lee "John" Belcher, 65, passed away Saturday afternoon with loved ones close by his side. Born November 23, 1952, a native of Taswell, Virginia, a son to the late Harless V. Belcher and Virginia Margaret McGee. He was preceded in death by three brothers, Earl Belcher, Charles Belcher, and Bobby Belcher, and two sisters, Judy Campbell and Nancy Tomes. Johnny was a graduate from the Mercer County School System. A Veteran in the Army, he worked in the painting industry as a commercial/residential painter for Mark Seagle Painting for over five years. He attended Grace Point UPC. Those left to cherish his memory are a son Christopher Lee Belcher of Lexington; two daughters, Stephanie Tyre (Jeremy), Heather Wright (James) both of Lexington; two brothers, Eddie Belcher (Toni) of Alabama, David Belcher of Fayetteville, North Carolina; two sisters, Anna Earley of Winston Salem, North Carolina, Mary Vencil (Bobby) of Rock Hill, South Carolina, and twelve grandchildren. A Gathering of Family and friends will be held Tuesday, November 13, from 2:00 PM until 3:00 PM at Landmark United Penecostal Church. A Celebration of Life Service will begin immediately after at 3:00 PM. The Reverend Kenneth Marshburn will be officiating.